That's the thing with siblings right. Two individuals, born of the same genes and sharing much of their life, but each with a distinct personality. It's a fascinating thought, something on which reams and reams can be written. But we're here to talk cars, and this might sound a bit off-topic. But that's not entirely true. 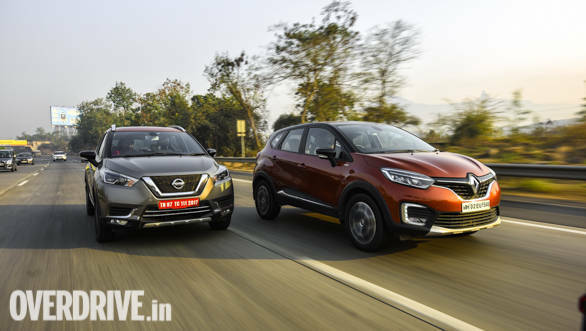 Look at the Renault Captur and the Nissan Kicks, for instance. On the face of it, they don't look a whole lot like each other at all. 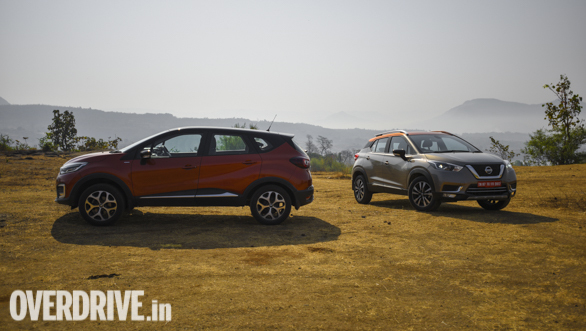 The Captur is the more upright one, in the sense of a traditional SUV, but hides this well. Its French-chic look is all smooth lines and soft curves. Details like the small but sharp LED headlamps, the uniquely styled alloys and the gloss back elements make it look sophisticated. The Kicks, conversely, is the angrier Manga enthusiast. The heavily-sloped front end makes it look more like a jacked-up hatchback but there are sharp lines, prominent cuts and creases everywhere. There's a more extroverted sense to the design, the aim is to catch your attention as quickly as possible. So where's the sibling angle? Under these wildly different exteriors, these two SUVs are mechanically almost identical. Both cars sit on a platform that started life in the Logan, developed by Renault's Romanian arm Dacia. This platform has since been re-engineered for use in the Duster and now finds its way here. It's the same with engines as well. 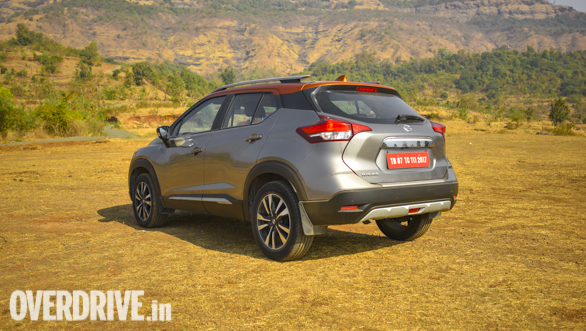 Both cars get the 1.5 litre K9K diesel motor with 110PS and 240Nm, and the 1.5-litre H4K petrol with 104PS and 142Nm. 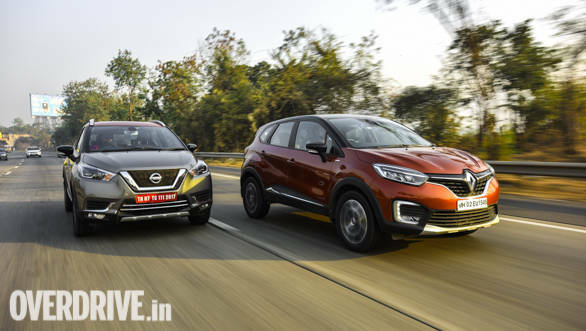 Step into the Captur and then the Kicks and those little character traits that connect siblings are evident. There's a role reversal of sorts here. 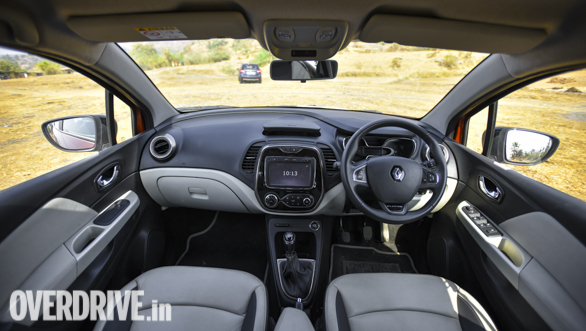 The Captur's interior is a bit plain like the striking exterior hides a quiet personality. This is accentuated by the swathes of hard plastics and a small touchscreen. The Kicks, conversely, reveals its more cosseting traits once you get past that flashier outward appearance. 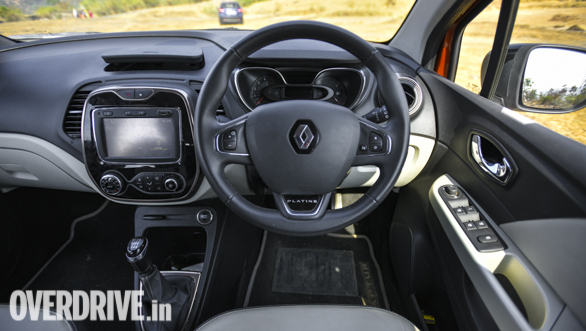 The larger floating touchscreen, though no crisper than the one in the Captur, in conjunction with the soft touch surfaces makes the space more inviting. The overall layout is the same on both cars, it's just the little variations that make both stand out here. 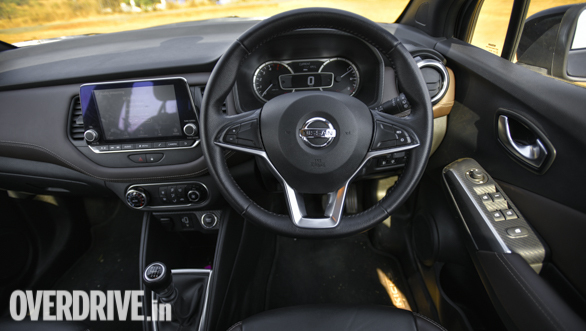 Like how the Nissan gets a smaller steering wheel and stubbier gearlever, or how the Captur gets this copper finish around the air vents and chrome cowl around the instrument cluster. But their flaws also become evident here. Both have a slightly awkward driving position, where you are always sitting higher up than you would like. There's a cramped footwell and most controls seem like a bit of a reach, especially if you happen to be of average height or less. In just the same way that siblings, born out of the same circumstances, react differently to situations, these SUVs do the same. The Kicks is the city slicker. 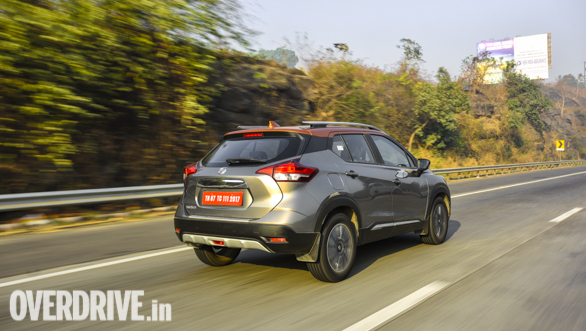 In the diesel version we drove, it gets the same six-speed manual as the Captur. But the ratios are evenly spaced out. This means you get to use the engine's relatively narrow powerband better. There's less shifting to do in stop-go traffic. 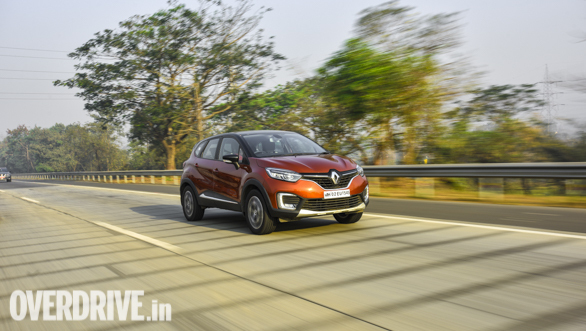 The clutch action is not springy like on the Captur, making for smoother shifts. The Captur's tall gearing has its advantages too. You are working the gears quite a bit in the city but it is great at dispatching highway miles, it holds on to higher speeds better. 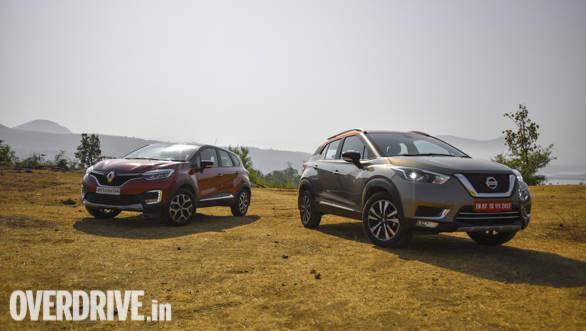 The Captur's other positive is its efficiency, our testing got us 18.5 kmpl, against the Kicks' 14.1 kmpl. But the two cars' tough beginnings shine through over a rough patch. Both absorb most middling imperfections without any drama. But at very low speeds or over some really bad patches, there is some body movement. 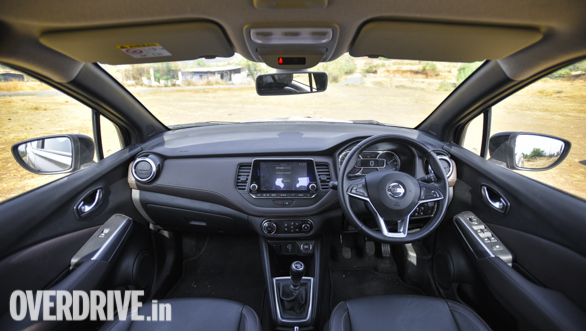 This is more evident in the Captur, there's significant kickback through the steering which accentuates this feeling. But which one's better? As has been the theme throughout, you're choosing between two siblings here. And this is a tough one. 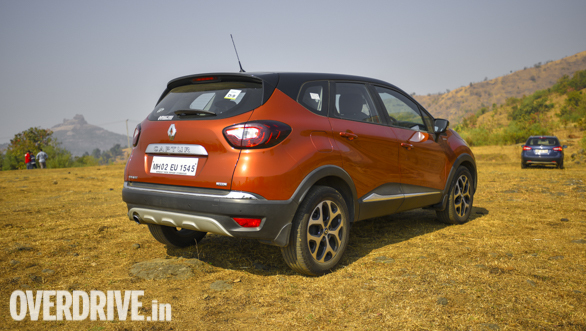 The Captur costs Rs 16.78 lakh, on road in Mumbai. The Kicks is almost a lakh more at Rs 17.63 lakh. This premium is justifiable only if you do most of your driving in the city and by yourself. Remember, the Captur is more efficient too. Judging these cars only on their facts and figures is missing the point though. The Captur and Kicks each present buyers with a unique experience. This is despite the fact that both are essentially the same car. And these are good experiences, even though there are more viable options present for buyers in this segment. If you're looking for something that stands out on the road, provides you with most modern amenities and reasonably good driving experiences, both will do the job. And that exactly how it is with siblings. They have their flaws, like everyone else, but each brings with them a unique personality which makes them their own person.